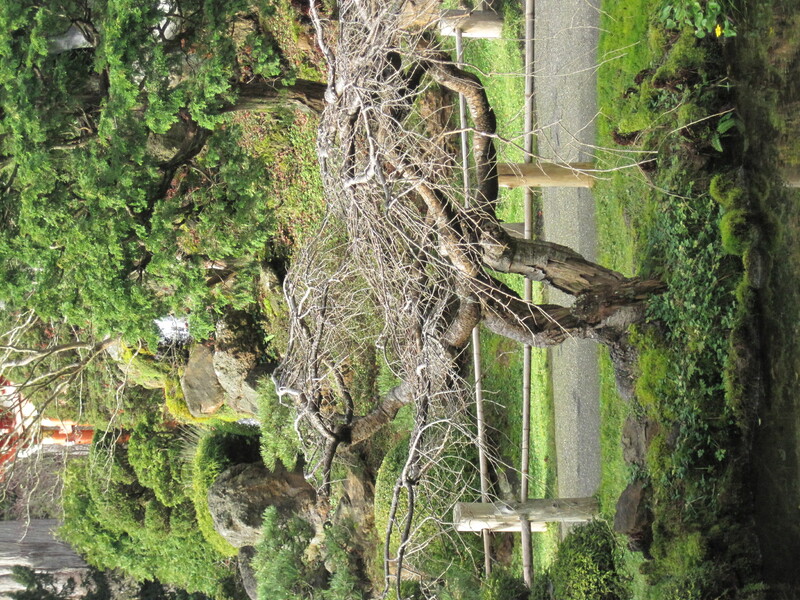 Charlie Eckberg, a volunteer City Guide, leads a free walking tour in Golden Gate Park on Friday mornings, starting at 9:30 a.m. at the entrance to the Japanese Tea Garden. A gifted story-teller, Charlie leads a tour that is like a treasure hunt! Following him through the Japanese Tea Garden, around Stowe Lake and up Strawberry Hill yesterday morning, our group found a living dragon (bamboo) and a secret Buddha in the Tea Garden, stones from a Spanish Monastery (folly of William Randolph Hearst) lining the shoreline of Stowe Lake and remnants of Sweeny Observatory on top of Strawberry Hill (to name just a few!). With a notebook of historic photographs under his arm, Charlie brings the park’s quirky history to life, pointing out clues to the past that would normally go unnoticed and telling colorful stories about historic figures like Makoto Hagiwara, long time steward of the Tea Garden, who invented the fortune cookie and park commissioner William Stow, who succeeding in getting his namesake lake built only after lengthy feuding with William Hammond Hall, the park’s designer. A retired firefighter and fifth-generation San Franciscan, Charlie sort of grew up in the park, feeding “pink popcorn” to the ducks (a Golden Gate Park delicacy still sold at the Stow Lake Boathouse!) and watching for the first cherry blossoms in the tea garden each spring. He is kind of a treasure himself! Sounds delightful! Are Charlie’s walks on a regular schedule, or do you have to luck out? Thanks for the emailed response! 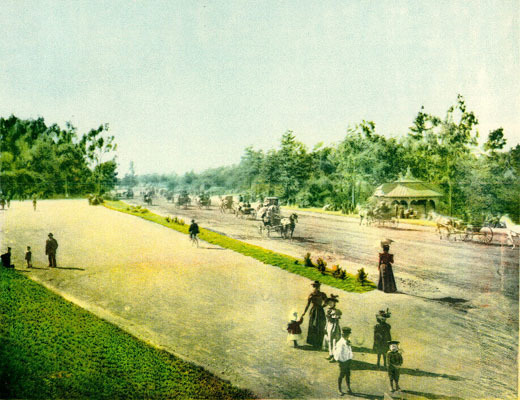 Your blog celebrates Golden Gate Park.